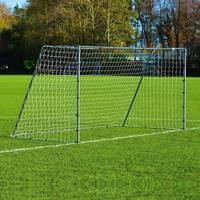 With dimensions of 12ft x 6ft, this soccer goal is the perfect size for use by under 11's. 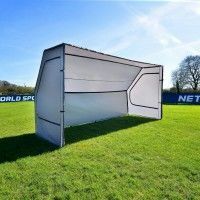 This particular model is suitable as a high quality matchday and tournament goal, with the weatherproof PVC goal frame providing consistent use for the entirety of the season. 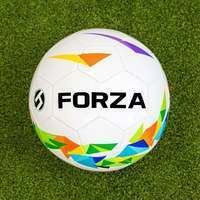 When it comes to stability, the FORZA Match Soccer Goals are second to none. 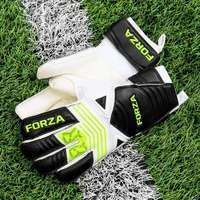 Featuring the essential locking system, the posts lock together to counteract the impact of collisions with the ball. 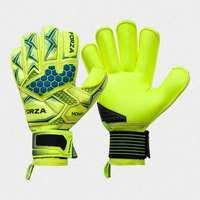 Also, the enhanced back profile of the goal provides optimum stability throughout use. 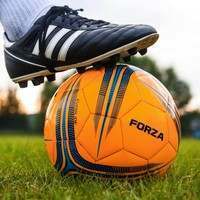 Junior soccer stars take to the pitch on a weekly basis with dreams of scoring that crucial goal which clinches all three points. 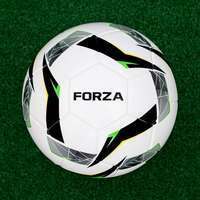 Featuring the high quality manufacturing which mirrors their enthusiasm for the sport, the 12 x 6 FORZA Match Soccer Goal is worthy of the best efforts of juniors under the age of 11. 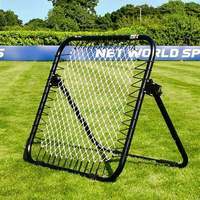 As well as adding a touch of class to junior matches and tournaments, the versatile PVC soccer goal can also be used during coaching sessions and backyard training drills. 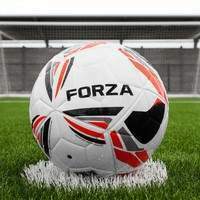 Soccer goals go through a lot over the course of a typical match. From thunderous volleys crashing against the crossbar, to heavy downpours when the heavens open, you need a soccer goal that’s built to last. 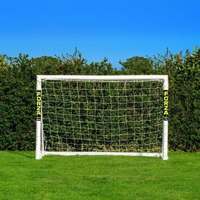 Made from weatherproof and highly durable PVC, this 12 x 6 soccer goal for juniors can handle the rigmarole of a full season and come out the other end looking as good as new. Its all-weather design allows it to be left fully assembled outdoors while remaining pristine ready for the next matchday. 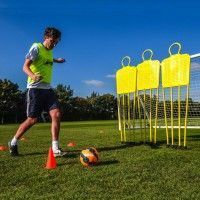 Eliminate the tedium of difficult goal assemblies with the quick and easy setting up process of this PVC junior soccer goal. 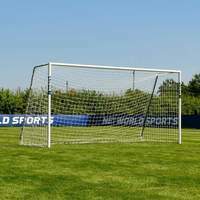 Incredibly lightweight and easy to manoeuvre, this low-maintenance soccer goal connects in minutes, getting the match underway impressively quick. For enhanced stability, the essential locking system keeps the posts securely protected, absorbing powerful impact. 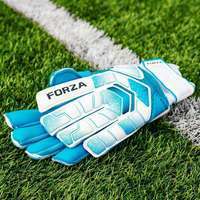 The top runback further boosts the stability of the junior soccer goal, solidifying the reliability of your goal throughout the match. 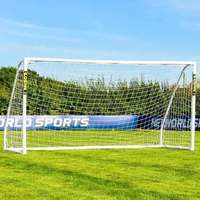 There’s no need to shop around for a goal net to accompany your posts, as a premium quality HDPE soccer goal net is included as standard. 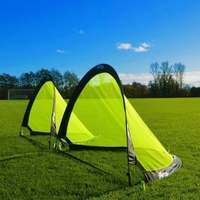 The UV stabilized goal net won’t be impacted by the elements, allowing your under 11 sides to hear that familiar ripple all season long. 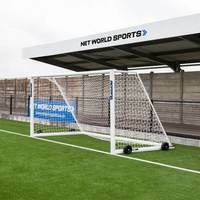 Net clips and u-pegs are also included to complete the package and keep the goal net firm and securely connected from the first whistle to the last. 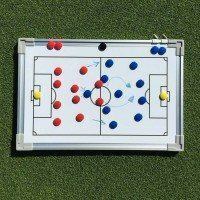 Bring professionalism to junior matches and tournaments this 12ft x 6ft PVC soccer goal. We would like to order a set of these for our Elementary School. 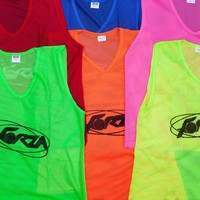 Do you accept purchase orders and tax exempt?